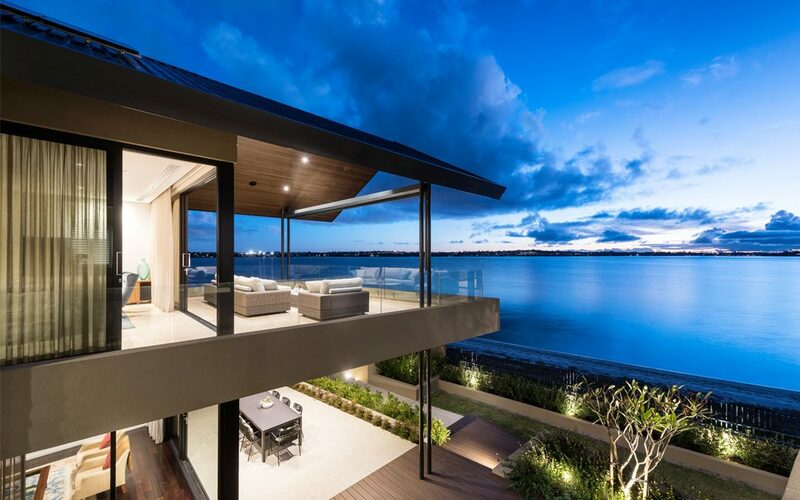 Built on a river edge, this striking two-storey home can be found at the end of a 100m drive on Swan River Trust land. The clients enlisted Urbane Projects’ expertise to create a modern family home that would also comfortably service them after retirement. To accommodate the homeowners’ teenage children, the home was split into two wings, which include plenty of separate living areas for added privacy when necessary. 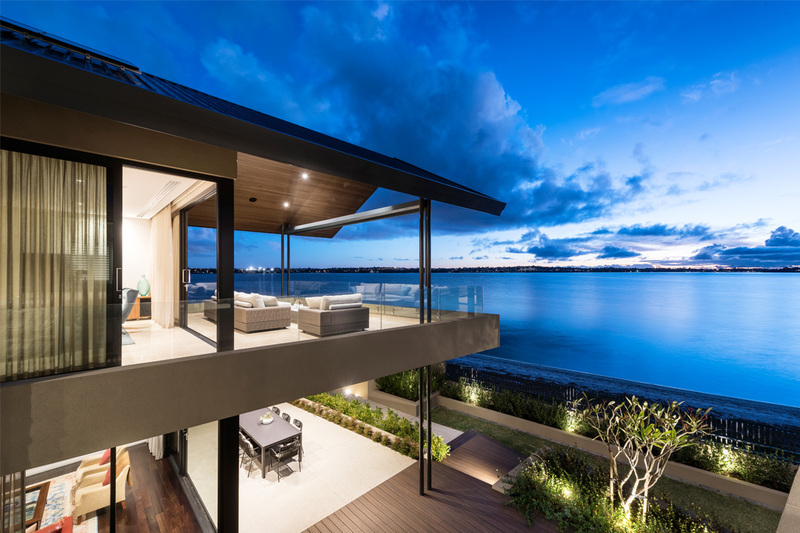 Floor-to-ceiling windows have been utilised as much as possible, to make the most of the stunning river views surrounding the property. 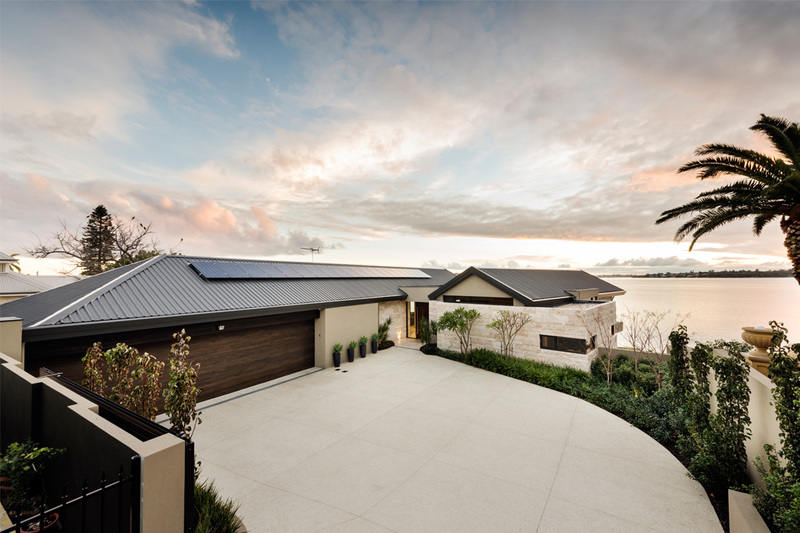 As the house is orientated to the west, attaining passive solar design proved somewhat challenging, however, Urbane Projects managed to use the natural slope of the lot to its advantage to not only achieve solar benefits for the home, but also to reveal those coveted water views. An important aspect of the clients’ brief was to make this property retirement-friendly. The floor plan was designed with this condition in mind, making it possible for the homeowners to live solely off the first floor when the time arrives. Urbane Projects also limited the need for additional steps – an impressive accomplishment considering the steepness of the block on which the home sits. Plenty of natural materials used throughout create a cosy feel, despite the home’s contemporary appearance. Extra consideration was made for landscaping and materials that would withstand the harsh elements of the river surrounds. Use of natural stone and timber for the flooring, wall cladding and cabinets would prove to be the most durable inside, while native plants surround the property outside. Urbane Projects was established in 2005 by Steve Gliosca and, although a relatively new company, has already won or been a finalist in 17 awards. Most recently, the company was named winner of the 2016 Housing Industry Association (HIA) Laminex Kitchen and Bathroom awards in the New Bathroom $10,001–$20,000 category. Urbane Projects focuses on building liveable, exclusive, and design-focused homes for the modern family. As well as this, the company also undertakes renovation and extension projects and believes this will be a growth area for the business in the future. 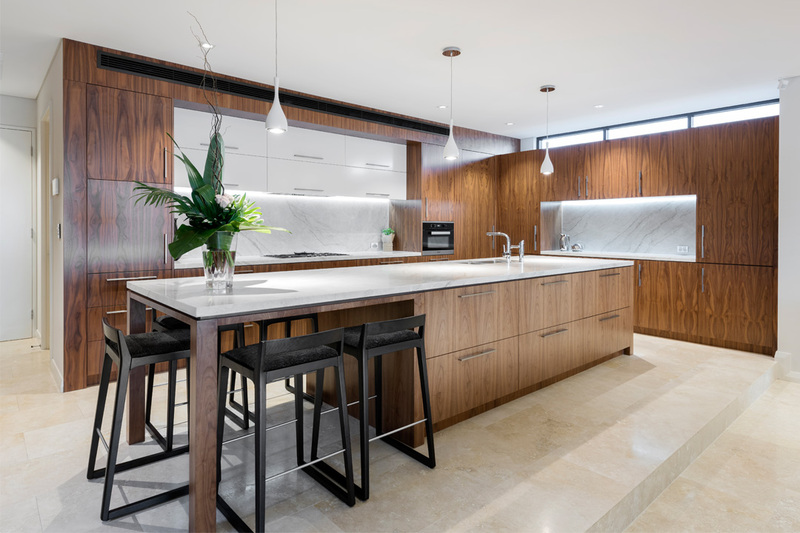 Building approximately eight to ten homes per year in the metropolitan Perth and river precinct, Urbane Projects works with clients to build luxury homes in the $1 million–$4 million range. The business also specialises in custom commercial fit-outs such as offices and small bars.